From the beginning two things have been the necessary form and mystery of Christian spirituality. Two things, even before the closing events of resurrection, ascension, and commission, wove disparate and often renegade believers into an inspirited body of the whole, connected to God and each other. Like a double helix rendered elegant by complexity and splendid by authority, the amalgam of gospel and shared meal and the discipline of fixed-hour prayer were and have remained the chain of golden connection tying Christian to Christ and Christian to Christian across history, across geography, and across idiosyncrasies of faith. The former is known as the food and sustenance of the Church, the latter as its work. The Divine Hours is about the second part of this double strand, the work; it is a manual for the contemporary exercise of fixed-hour prayer. 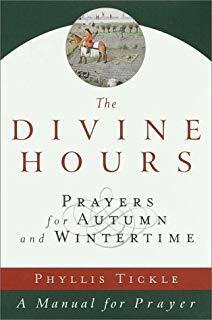 Although designed primarily for private use by individuals or by small groups, The Divine Hours may certainly be employed by larger and/or more public communities. Likewise, though designed primarily for lay use, it can as well be employed by the ordained in either private or corporate prayer. 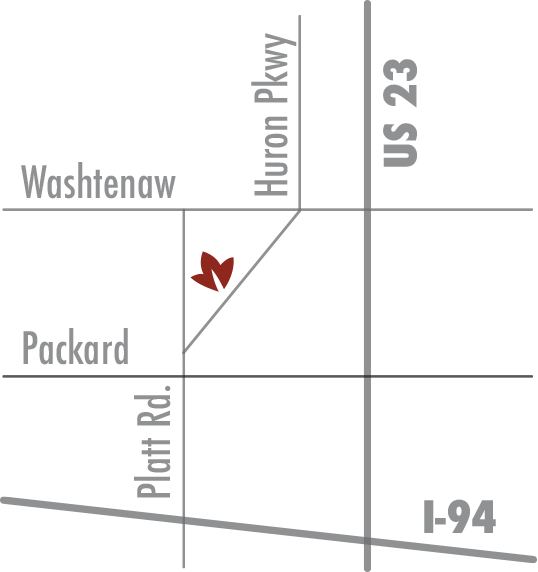 Those already familiar with fixed-hour prayer (variously referred to as “The Liturgy of the Hours” or “keeping the hours” or “saying the offices”) and with its tools (the breviaries of monastic worship and the Book of Hours manuals for laity that date from medieval times) will find some modifications and innovations here. They may wish to scan what follows for explication of these changes. Others, especially those for whom keeping the hours is a new practice, may wish to read the remainder of this introduction more thoroughly. 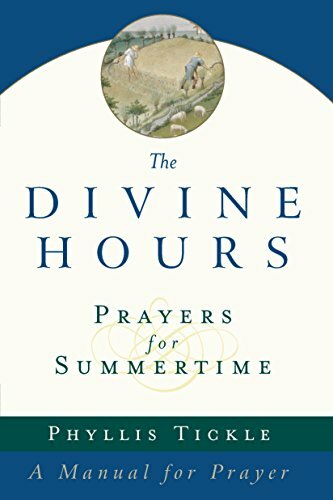 The Divine Hours are reprinted here with permission of Doubleday and Phyllis Tickle. Not for distribution without permission from the author.